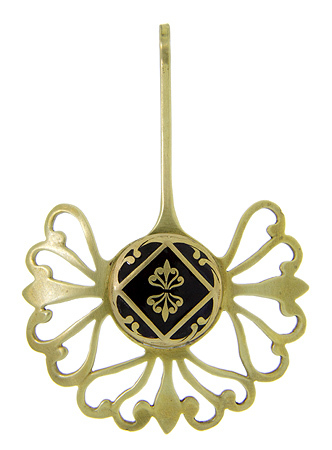 An antique brass and champlevé enamel button is seamlessly integrated into this one-of-a-kind brass pendant. 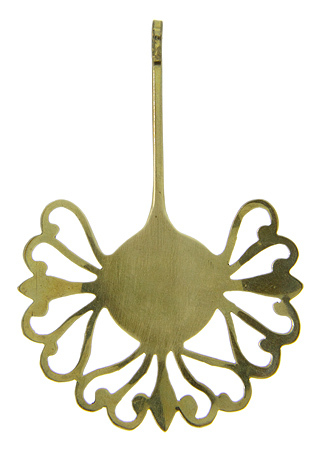 A genuine Marlene Harris design, the piece features curving brass lines that emulate the design on the button. The pendant measures 4 1/4" in height by 3” in width.